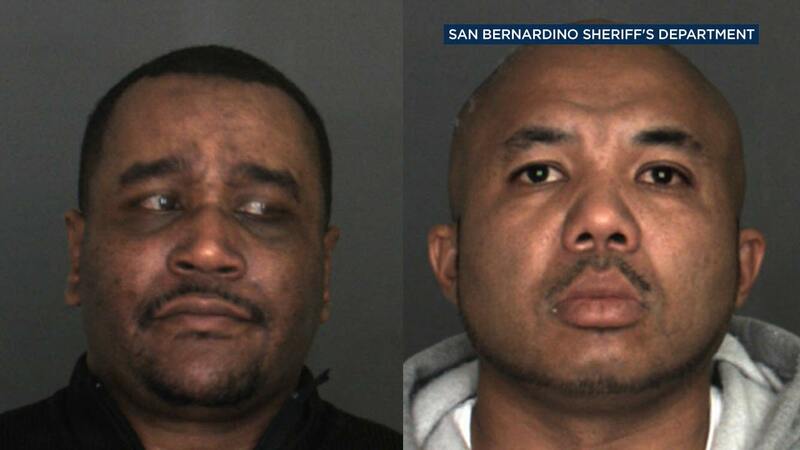 RANCHO CUCAMONGA, Calif. (KABC) -- San Bernardino County sheriff's investigators busted a widespread identity theft ring operating out of a Verizon store in Rancho Cucamonga. It all started back on Sept. 27, when Chino Hills patrol deputies were dispatched to a domestic disturbance involving area resident Daniel Mitchell. During the investigation, deputies found evidence of identity theft in Mitchell's car - including blank credit cards, credit card reader/writer, social security numbers, credit reports and customer purchase receipts from the Verizon store at 7825 Monticello Ave. in Rancho Cucamonga. Upon further investigation, detectives learned that Mitchell was the mastermind of a large identity theft operation, which involved multiple employees at the Verizon store. So far, two people were arrested in connection to the case: Mitchell, 39, who is currently in jail on an unrelated case involving possession of stolen credit cards, and Verizon store manager Brandon Gaynor, 39. Mitchell remains behind bars while Gaynor has since posted bail. Authorities said a number of employees at the store admitted they helped set up fraudulent accounts as part of the scheme. So far, investigators have located more than 50 people across the nation who could be potential victims. Sheriff's officials said they are working with Verizon Corporate Security to take the appropriate administrative actions for all employees associated with this case. If you have any further information about this case or have questions, you're urged to contact Chino Hills' sheriff's station at (909) 364-2000.